Oxide thickness is commonly measured by ellipsometry  but as film thicknesses is scaled down to several atomic layers, surface analytical techniques such as XPS become applicable tools to quantify these films . An XPS measurement offers the additional advantage of providing information such as surface contamination and chemical composition of the film. X-ray Photoelectron Spectroscopy (XPS) technique offers several key features which makes it ideal for structural and morphological characterization of ultra-thin oxide films. The relatively low kinetic energy of photoelectrons (< 1.5 keV) makes XPS inherently surface sensitive in the range (1-10 nm). Secondly, the energy of the photoelectron is not only characteristic of the atom from which it was ejected, but also in many cases is characteristic of the oxidation state of the atom (as an example the electrons emitted from 2p3/2 shell in SiO2 are present approximately 4 eV higher in binding energy than electrons from the same shell originating from Si0 (bulk Si). In the third place the XPS has the advantage that is straightforward to quantify through the use of relative sensitivity factors that are largely independent of the matrix. The XPS recorded spectra were obtained using SPECS XPS spectrometer based on Phoibus analyser with monochromatic X-rays emitted by an anti-cathode of Al (1486.7 eV). The complex system of SPECS spectrometer presented in Fig.1.13: allows the ARXPS analysis, UPS and STM as surface investigation techniques . Fig. 1.13: SPECS complex system for surface analysis. Adapted from . 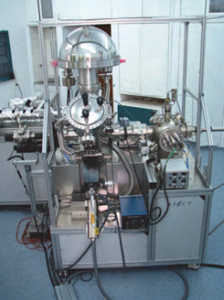 A hemispherical analyzer was operated in constant energy mode with a pass energy of 5 eV giving an energy resolution of 0.4 eV, which was established as FWHM (full-width half maximum) of the Ag 3d5/2 peak. The analysis chamber was maintained in ultra-high vacuum conditions (~ 10-9 torr). As a standard practice in some XPS studies the C (1s) line (285 eV) corresponding to the C-C line bond had been used as reference Binding Energy (BE) . The recorded XPS spectra were processed using Spectral Data Processor v 2.3 (SDP) software. In its structure the SDP soft uses the DE convolution of a XPS line as a specific ratio between Lorentz Ian and Gaussian line shape and these characteristics ensures a good fit of experimental data. The explored depth of surface layers by XPS technique can be adjusted by the variation of θ angle. In Fig.1.14: is presented the TOA angle considered in the equation for oxide thickness evaluation as presented in [5- Fig. 1.14: Sample characteristics in ARXPS measurement. Adapted from . 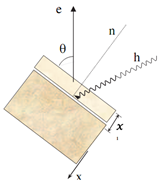 Figure 1.15: A representation of photoelectric effect and auger electron emission. XPS spectral lines are identified by the shell from which the electron was ejected (1s, 2s, 2p, etc.). Following this process, the atom will release energy by the emission of an Auger Electron. The XPS instrument measures the kinetic energy of all collected electrons. The electron signal includes contributions from both photoelectron and Auger electron lines. Here remember that energies of photoelectrons are dependent on photon energy. While for the case of Auger electrons they are not dependent. Figure 1.16: A band diagram illustrating the electron transfer which changes the electronic configuration. The earliest work on quantum dot sensitized solar cells (QDSSCs) has been reported by Weller’s group . These types of solar cells are alternative to dye sensitized solar cells (DSSCs) . The diﬀerence between QDSSCs and DSSCs lies in the sensitizer employed to harvest the sun light. In the case of DSSCs this is an organic dye molecule or metal–organic complex whereas in the case of QDSSCs it is an inorganic semiconductor material QDs. Fig. 1.17 shows a scheme of quantum dot sensitized solar cell and its principle of operation. 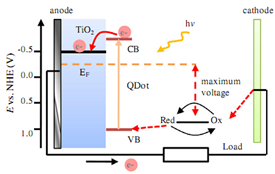 Briefly the working principle of QDSSCs is as follows: Upon illumination of the photovoltaic cell the QDs sensitizer attached on the TiO2 film absorb incident light. This causes excitation of an electron in QDs from the valence band to the conduction band. In this way the excited electron leave behind a positive hole. Fig. 1.17: Arrangement of a QDs-SSC and its employed tool. Adapted from [8,9]. This system of energy is used in architecture and design of the building to control the heating and the ventilation in solar designs and passive assets. Photovoltaic: The Photovoltaic technology or of picovoltio uses the solar cells or the solar orders photovoltaic to turn energy of the sun electricity. It continues being all the chemical agent and radioactive by-products of the contamination of the thermonuclear reactions in the sun behind, whereas only pure the radiating energy reaches the Earth. The energy that reaches the Earth is incredible. By a calculation, 30 days of sun that press the Earth have the equivalent one in energy of the total of fossil of all the planet, used and unusual fuels. A collector of the level plate is used to absorb the energy of sun to warm up the water. The water circulates through system closed due to the currents of the convection. The tanks of the hot water are used like storage . It saves the raw material. It can be deposited in the flexible substrata. One more a higher absorbencies of the photon that c-Silicon. 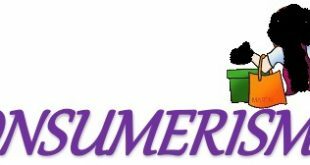 The potential roller to roll the manufacture would very cheap make produce. Vogel, R., Pohl, K., Weller, H., 1990. Sensitization of highly porous, polycrystalline TiO2 electrodes by quantum sized CDs. Chem. Phys. Lett. 174, 241–245.